It's time to review my third quarter blog goals. I've been working hard and my blog has grown tremendously the past few months! Let's get down to business and see what's worked and what hasn't. I've been hustling hard and my efforts are paying off. Blogging isn't always easy (for me) and it requires a lot of my attention and time. I've been treating my blog like a part time job for about nine months now and it's been a slow and steady climb. I have a long ways to go before I'll consider myself successful, but I am definitely on the right path. Let's check in and see how I did with my goals! Increase my page views to 5000 a month. SUCCESS! This was a big one for me. I am averaging more than 5,000 pageviews a month! EVEN MORE SUCCESS! My page views were over 40,000 last month. More to come on this below. Apply for sponsored posts or join larger affiliate networks. I joined BlogHer (haven’t really done anything with this though) as well as signed up with a few companies that are sending me products to review and/or discuss on social media. FAIL. I haven't really done anything with BlogHer or sought out sponsored posts. I turned down a couple opportunities because I got stressed out that I would compromise my blog and turn off readers. I need to work on this more! Finish updating all my old photos for Pinterest 99% done! Increase my newsletter subscribers This is going well! I started from scratch and now have 550+ subscribers. I'm still trying to figure out my newsletter angle and need to get a PO box before I send out my first newsletter. Improve my international Alexa rating Success! Last quarter I was around 900,000+ and now I'm in the 600,000 range. Seek out blog job opportunities (I provide these services) I added a Hire Me Section and it's been paying off financially! Expand my blog content I'm working on this and plan to make changes in the next couple months! Occasionally I post three times a week, but this is rare. I've really been focusing on better content and longer posts. I might change things up and do a lighter post on Fridays or Saturdays, but I enjoy my current schedule. Blogging consistently really makes readers come back to see what I am up to each week. This was tough and I'm still working on this aspect of having an online presence. I'm such a private person and am not sure how much I want to share. I think I prefer to keep it 95% professional (but still fun!) and 5% personal if that makes sense. Although hesitant, I created an Instagram account for the blog that I keep separate from my personal account. I also created a Periscope account with the username @BelieveinBudget. Hashtags are a great way for new readers to find my blog! I belong in a private Facebook group with 9 other amazing bloggers and it's been a great resource. We bounce ideas off each other, seek advice and have weekly check-ins for accountability. Having this group is helping me become a better blogger and create new friendships. I've mentioned this before, but I started working with Carrie from Careful Cents a couple months ago. I check in with her once or twice a month and she has not only helped me find clients and grow my business, but has become a great confidante. I can't imagine not working with her. This is hands down the most effective way I have increased traffic to my blog. At the start of the year I was a new blogger and averaging around 1,000 page views a month. I am now averaging 40,000 page views a month. My Pinterest strategy has taken off and I couldn't be happier. Update: I now get over 160,000 page views a month! I've done really well when a Google search is done to find free pinterest scheduling. My free printable images are the first images found when people are using these keywords and it's helped bring in new readers. When readers find my website organically, it's a testament that my hard work is paying off in the Google rankings. If you want to grow your blog and increase your pageviews, I can help! I provide a ton of different services, whether it's a one hour consulting appointment or help pinning each month. I also am working with clients and small businesses to improve their photos on their blogs. Better blog and content photos translates into their photos getting pinned more on Pinterest. Check out my services if you want to chat! As many of you know, I'm officially freelancing full time! I am so excited to devote my time to this blog and really make it grow. I'm also at a crossroads with what I want to do with it, and have been for the past few months. I need to figure out how to go from a personal finance blog to a lifestyle (?) blog. I don't even know if lifestyle is the right word since I don't plan on sharing everything in my personal life. My adventures in freelancing. Readers have been kind enough to follow my journey from full time employee to the beginning stages of freelancing. I want to continue to share and document my freelancing journey. 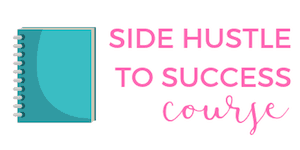 Write about my Pinterest niche and figure out how to help others. Add my consulting business into the mix. I don't ever talk about what I do outside of blogging and I'm not sure how beneficial it would be to readers. However, it's part of my online income reports and if it can benefit readers, I'll do it. I think my fear is combining my real life with my online life as I've always separated the two. It's putting more out there about myself and I just struggle with it for some reason. Stay consistent with the Believe In a Budget theme of my blog. As I mentioned above, I want to move away from strictly personal finance. I like the idea of talking about other areas of life, such as budgeting for my home office, how I'm decorating my new apartment without blowing my bank account, etc. while sticking to a budget. I think this would be a ton of fun and give my blog another layer. With all these changes, I am also thinking about changing my blog design and theme. Restore 316 Designs is my go-to source for blog themes and I've had my eye on one in particular for a few months. Needless to say, I'm excited about everything that's happening! I welcome change and think everything above is a step in the right direction. I'm excited to blog full time and see where this new chapter takes me! If you're a blogger, do you draw the line at what you blog or post about on social media? If you're a reader, do you like seeing the personal posts mixed in with the professional posts? Being a Children’s book author, I’ve been needing to do a blog for my company. This will help tremendously with promoting books and up coming releases. Love following Kristin. 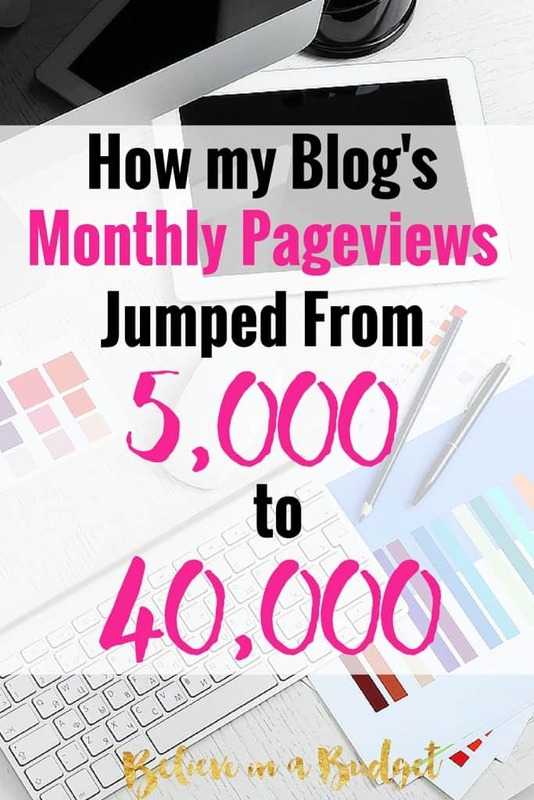 Congrats Kristin on the blog increases and spreading the love so we can be just as successful as you are blogging. Wow, Kirsten! This is very inspirational! 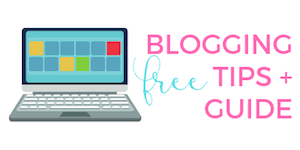 I’m proud to be a part of the Blogging Mastermind group with you! It is a great/safe place to ask questions and learn from each other. I’m really looking forward to where you go with the blog. I agree about the additional layer, which is why I decided to make my site a lifestyle and budget blog from the beginning. I love talking about money, but I like to have a little variety. I’m sure your readers will enjoy the additional topics (I surely will) and I’m excited to you continue to progress! Thanks, it’s been a looooong climb and I still have a ways to go. I was invited by someone to participate in a mastermind group. It would be easy to start one though. I would keep it under 10 people and reach out to similar bloggers, and then create the private FB group. I’m not sure what the norm is, but I’m in 1 group and that’s working well. I’m not sure if people are usually in a few groups or not. I wish this is something I had known about sooner! SO excited for you, Kristin! I know you’ve been working hard. I’m glad to see it paying off. It’s nice to see you “owning” Pinterest and google and not messing around with ever SM network. I’ve been just trying to juggle all of the Networks, automating when possible, and not having great success with any. There’s a big part of me (the straight-laced conservative part) that thinks “But what if I dedicate to a certain platform and then that platform changes the rules and goes all crazy a la the last couple of years of Facebook.” I know, any action is probably better than none 🙂 I’m so glad you’re doing well! Yeah I get stressed that I’m not more active with everything, but I’m just sticking to what is working for me and growing slowly. Lately I keep hearing everyone talking about using LinkedIn more and more, and that’s another platform I haven’t ventured in either! You are knockin it out of the park in pretty much every single category! I like seeing personal posts along side professional posts. I love getting to know the people I admire and get advice from. I post personal + professional posts and it’s hard to figure out the right mix that won’t turn people off, but I like to just keep it real and be me. I try to do 80% professional and 20% personal for the most part. Thanks Aileen! I’m glad to see you mix it up and do both! I love your awesome progress with all your goals, I think you can certainly talk about all those areas you mentioned as personal finance touches every one. Sure, I’ll email you! For the newsletter, I haven’t really done much to be honest. I put in the Hello Bar at the top of my page and then the insert at the bottom of each post for people to sign up. 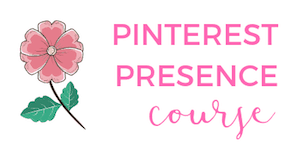 Every now and then I’ll offer something if someone signs up, like free printables or a free Pinterest pinning schedule.